Dr. Mukhtar Hajizada is a scholar and political analyst specializing in European and international affairs. 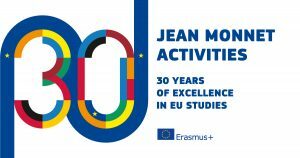 From 2013 to 2017 he chaired the Political Science and International Relations Department at Khazar University in Baku, Azerbaijan, and in 2014 was awarded the Jean Monnet Chair by the European Commission. Dr. Hajizada’s research and teaching focus on European integration, comparative regionalism, Black Sea regional cooperation, the European Union’s foreign and neighborhood policies, research methods, and international relations theory. He has also worked with the Azerbaijani Education Ministry, evaluating university accreditations. 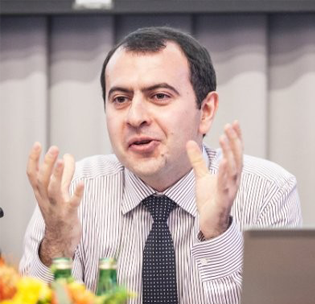 In 2012, Dr. Hajizada was a TÜBİTAK Fellow at the Center for International and European Studies at Kadir Has University in Istanbul, where his research focused on the institutionalization of Black Sea cooperation. In 2010, he was a visiting fellow at the Brussels-based Centre for European Policy Studies (CEPS). During Azerbaijan’s Chairmanship of the Black Sea Economic Cooperation Organization (BSEC) in 2009, he served as a member of the committee charged by the Foreign Ministry with organizing the Council of Foreign Ministers meeting; he also liaised between the BSEC Business Council and the Azerbaijani National Confederation of Entrepreneurs. His professional experience at the headquarters of the BSEC in Istanbul coincided with the BSEC-EU consultations following the 2007 enlargement of the EU. Dr. Hajizada believes research findings can bridge the divide between academia and policy-making, thereby channeling the transformation of academic knowledge to practical application. Research is vital for informed decision-making, and best serves society when it has practical applications.